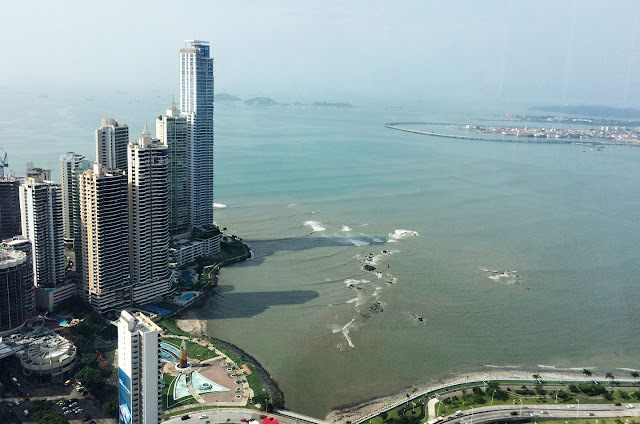 After a delightful, much-needed slumber in the ultra-plush sheets of the Hard Rock Megapolis Hotel, we were ready to explore Panama City for a few hours before our flight to Bocas del Toro. You know me, always up before sunrise...Howie thinks I'm a freak of nature. Maybe I am. But hey, rolling over in bed and seeing first light behind the skyscrapers and distant mountains is any architects fantasy. And did I mention we got upgraded to a suite?? Thanks Hard Rock, you rock! Now on to Day 2 of our adventure! Let's just say we were beyond thrilled to see the sun shining after being in a permanent splash zone the day before! 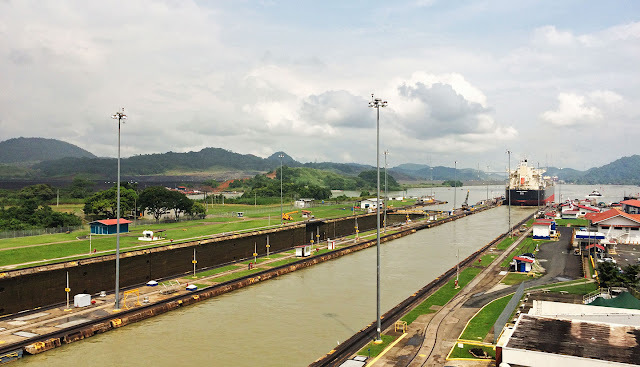 In Panama, when you say you want to visit the Panama Canal, you actually mean you want to visit the Miraflores Locks, which are about 20 minutes outside of the city. To sum up the locks in a single word: remarkable. Seeing ships the size of football fields enter the locks and get raised or lowered in minutes to meet the water levels of the inland mountains or the Pacific Ocean was just amazing, especially when you consider the fact that it was built over 100 years ago! 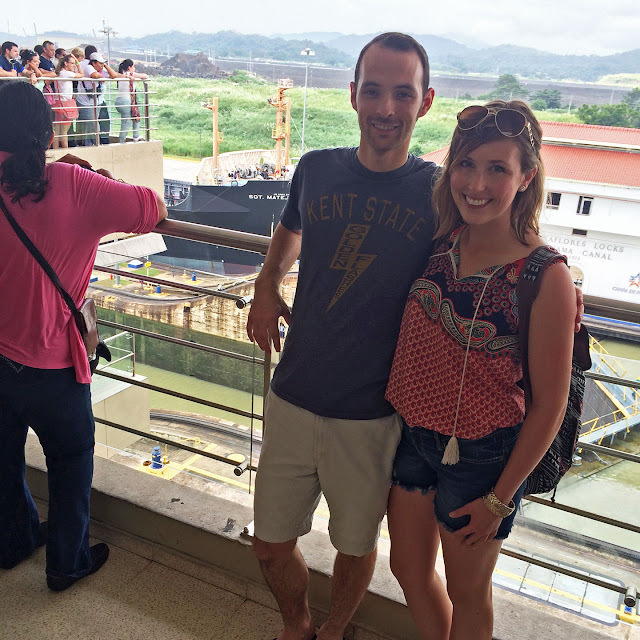 We watched 3 ships go through the locks in about 45 minutes, and then went through the museum to learn a little more about the Canal's history. All in all, we probably spent about 2 hours at Miraflores and it was plenty of time. 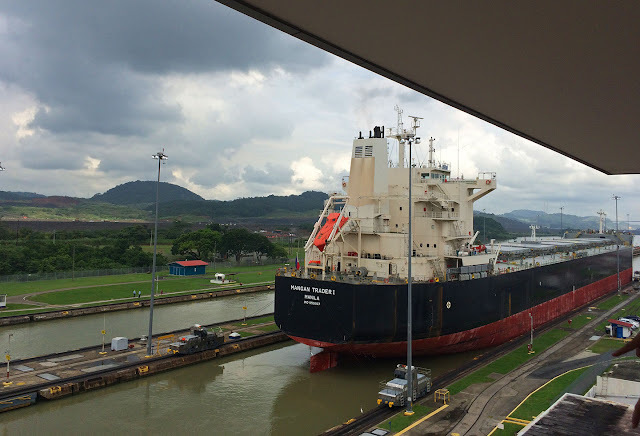 There are tours that take you through the canal on a ship, but from what I've read, it's not worth the time - it takes 8-10 hours to go through the entire Panama Canal and there is no restaurant or bar on board. Boringgggg. A major tip when you're going to visit Miraflores Locks: go early, like 9-10:00 am. We found out that the ships coming from the Pacific enter the locks in the morning, and ships coming from the Atlantic pass through in the afternoon. 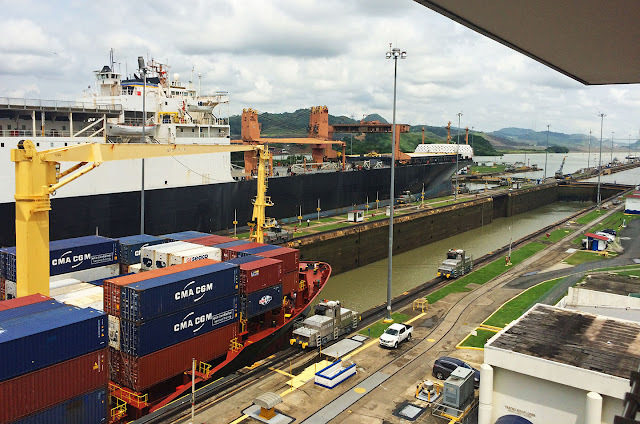 If you wake up, have a leisurely breakfast and arrive to Miraflores at noon, you'll hit the awkward "lull" time when there aren't really ships from either direction going through the locks. So not worth the $15. The early bird gets the worm! 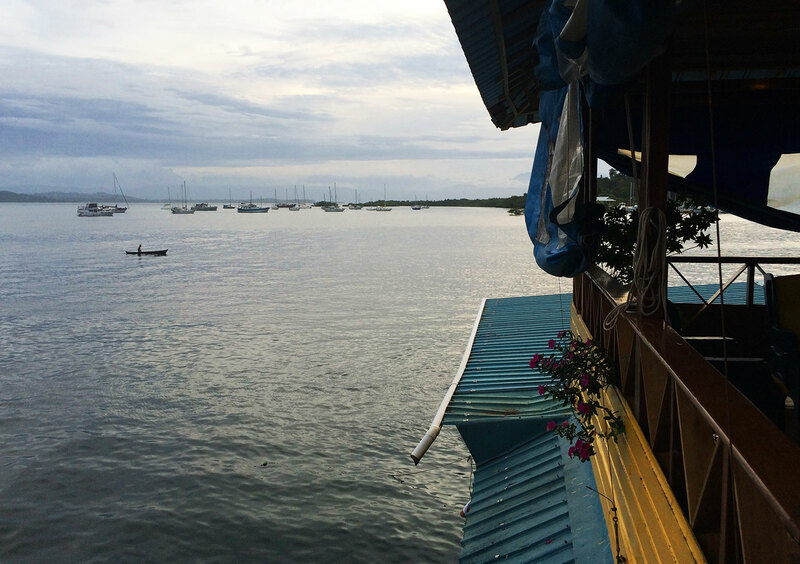 After a quick stop back to our hotel to grab our luggage and have some lunch, we were en route to the airport for yet another flight to Bocas del Toro, an archipelago on the Caribbean side of Panama near Costa Rica. 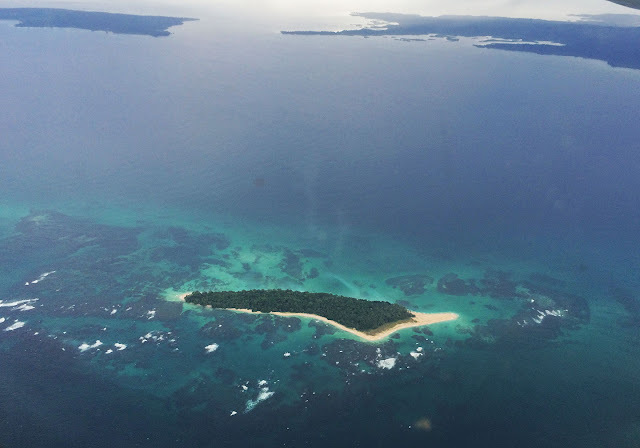 The islands of Bocas del Toro are a must-visit when you travel to Panama; the city is nice, but the rainforest, beaches and sensitivity to nature in Bocas are just incredible. You have 2 options when traveling to Bocas...an 11-hour overnight bus ride that is apparently FREEZING based on every single review I've read, followed by a half hour ferry ride from the mainland, for about $30 each way. Or you can take advice from Howie and I and book a 45-minute flight for $75 each way that lands right on the main island. 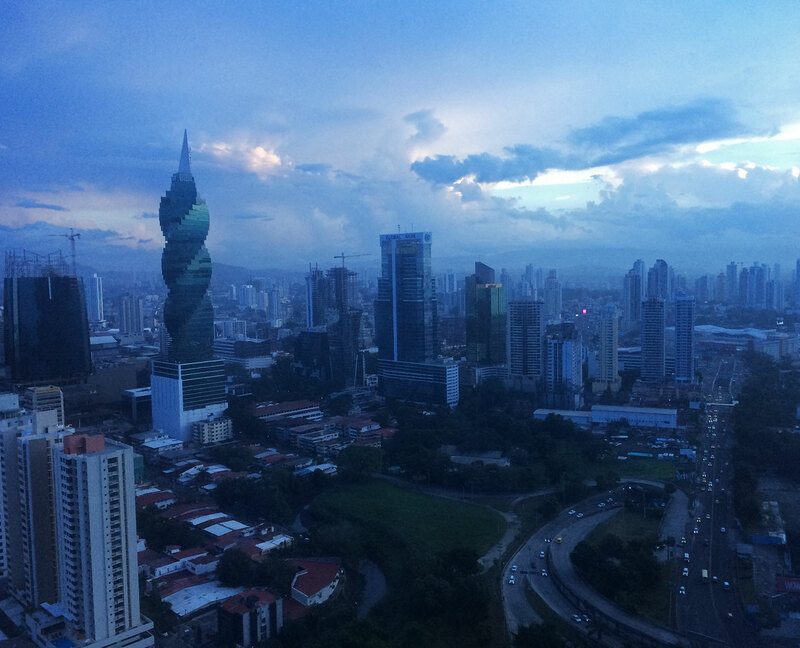 When I'm only traveling for a week, time is money...and wine is considered a "soft drink" for Air Panama a.k.a. 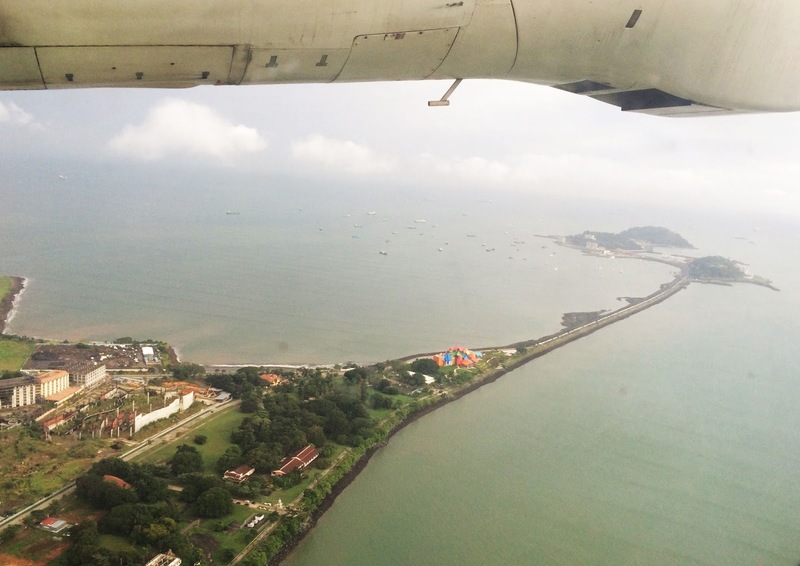 free on board...and the views of the city flying out were breathtaking. That's a win all the way around for me! Adios Panama City...Holaaaaa Bocas del Toro! Hotel Olas on Isla Colon was our home for the next 4 nights in Bocas del Toro. While I would definitely consider it more of a "hostel" that offers private rooms rather than a "hotel," the views of the water were unbeatable and the staff was extremely friendly. Bocas Town, all in all, might take a little bit of adjusting when you're coming from Panama City - I'm just warning you, it's a typical small Caribbean town that is still undiscovered by resort chains; you're going to see a lot of poverty when you get off the main drag, and it's a little overwhelming at first. 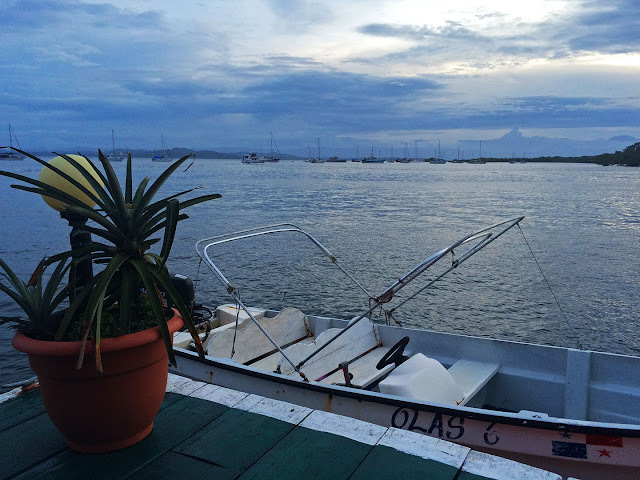 All of the restaurants, shops and bars in Bocas Town are a total blast, despite the surroundings. 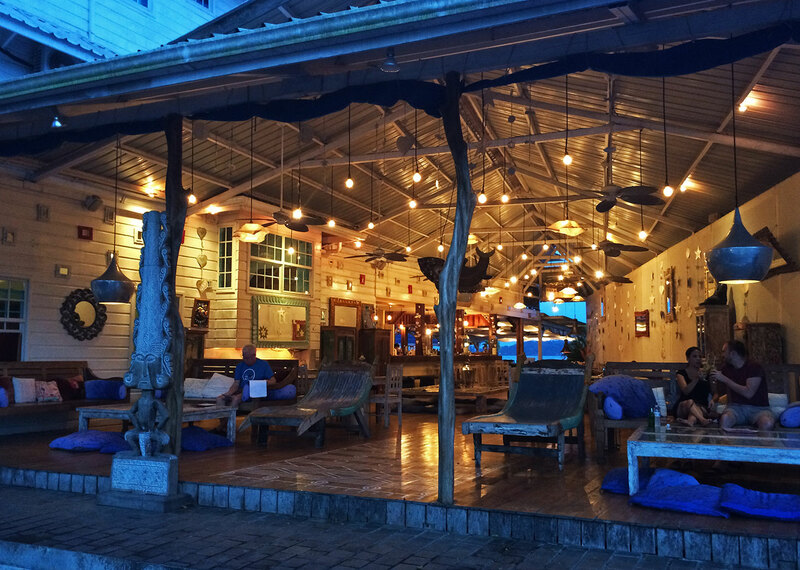 I'm not trying to deter you from visiting...I just want to give you a heads up so you don't go through the initial shock that I had for the first couple of hours in Bocas before I saw that everything comes alive at night! I calmed down once I had a hand-pressed Passion Fruit Mojito at Indi Lounge. I loved how every single building in Bocas opened up to the street and water - there really weren't a ton of walls anywhere! This place was Anthropologie on steroids. 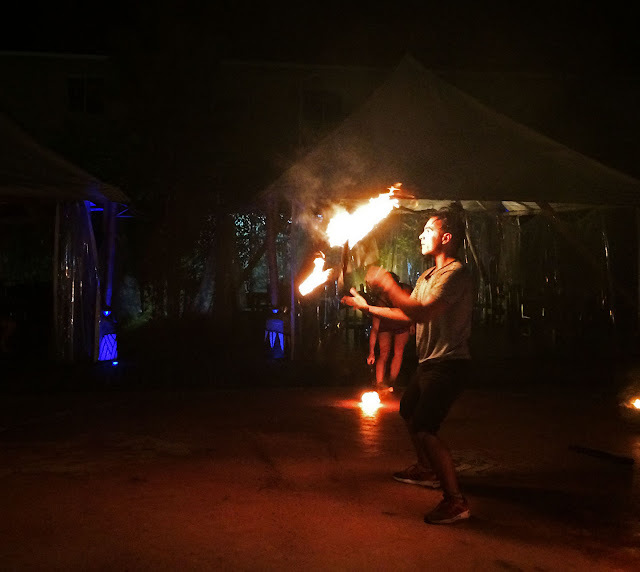 We headed across the street to Bocas Bambu Beach after Indi Lounge and found out after we sat down that there was a nightly fire show that started at 8:30 pm with juggling, dancing and gymnastics. We lingered so we could catch the show, which was AWESOME (you totally have to see it), and then lingered a little more and ended up ordering pizza for dinner. It sounds odd, but Panama has some of the best pizza, especially the ones topped with pineapple or chorizo! I think we had pizza 3 times during our trip...don't judge. Fish, fried plantains and rice gets a little boring after the second or third time you have it, even if it is the Bocas specialty. Once it was about 10:30 pm, Howie and I were already thinking about sleep. I know Bocas is the backpackers party destination of Central America, but we had a busy day that seemed to last forever! We woke up the on Pacific, fell alseep to the soft waves of the Caribbean, and saw some amazing things along the way. We were feeling so ready to explore the pristine beaches and rainforest on Day 3!